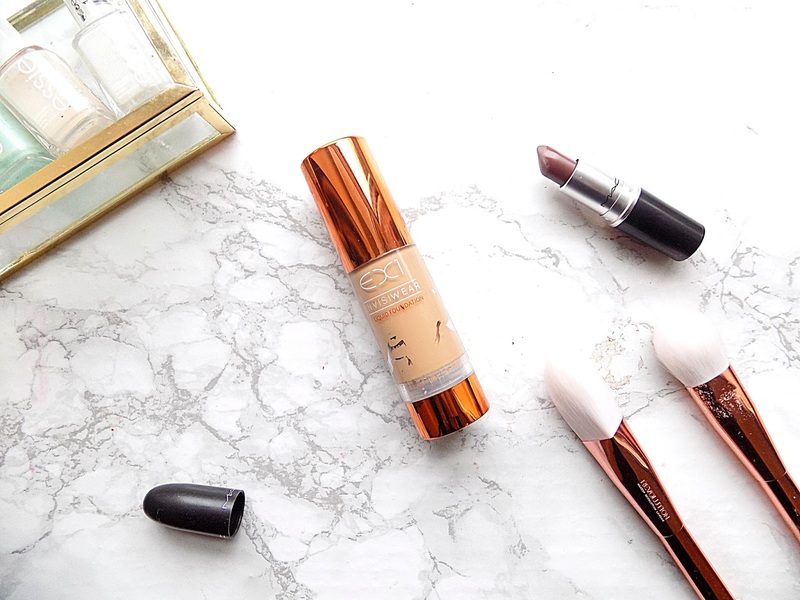 After hearing so many beauty gurus from across the pond raving about the EX1 Invisiwear Foundation, I just had to see what all the hype was about! This foundation is designed for people with olive and yellow skin tones. Little disclaimer - I'm not olive or yellow skin toned. But its rare that I'm not wearing fake tan, so I thought I'd give it go. The Foundation promises to look like skin and has light defusing pigments to deflect away from fine lines, wrinkles and general skin concerns. To create a flawless invisible base! I picked up the shade F200 which is the second palest shade. Which is pretty impressive as normally I'm 4-5 shades from the palest, depending on the shade range. So this probably does cater to those who have darker skin tones. Although not great for those who are pale - but this is a foundation aimed at more tanned tones. The shade F200 is also a perfect match for me when I'm tanned. The packaging looks wise is beautiful. Anything gold is a winner in my book and it has a pump dispenser. The foundation itself is on the thick side, which, at first, concerned me as it does claim to be invisible. But the foundation blended out with ease and did look seemless on the skin. I found my Real Techniques buffing brush perfect for this foundation. The coverage is a good medium but buildable. It covered the redness around my chin effortlessly. And left a lovely a satin, flawless finish. It didn't dry my skin out throughout the day either. It lasted well on my dehydrated skin too, it still look pretty perfect at the end of the day! Overall, this is a brilliant foundation for £12.50! Way better than some foundations I've tried at the same price. I definitely see the hype around it. The gold packaging also gets 10 out 10. And if you have dry / dehydrated skin like me this would be a sound investment. I'm not sure how well it work with oily complexions though. EX1 Invisiwear foundation is available here. Have you tried EX1? What did you think? Nivea Post Shave Balm As a Primer? ?